To view information on the Pastel Partner add-on modules, please click on the relevant module below. SmartBank imports Bank Statements straight into Multi Accounting packages...SAVING up to 90% in processing TIME, COSTS and MONEY! 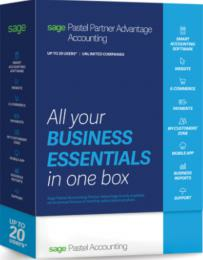 SmartBank is a lot easier to use than the Sage Pastel Bank Manager and works beautifully with:1) ALL Pastel Partner and Xpress versions, OSFinancial Accounting (Free Accounting package)3) and Palladium Accounting! Pastel Cash Manager is a debtor’s management system that’s suitable for any business in any industry that seeks to optimise their debtor’s collection process. Unlike other products which tend to focus on the macro level, this is a hands-on practical system that automates the daily control of the debtor’s book. For more detailed information on the Pastel Cash Manager, please click here. To download a brochure on Pastel Cash Manager click here. Pastel Point-of-Sale (POS) is an affordable, simple and secure retail solution. Pastel POS is a retail system with all the necessary features you require. Powerful, yet easy to set-up and operate, Pastel POS is keyboard friendly for fast processing. Simple screens and large display areas make this cashier-based system ideal for any till point. To download a brochure on Pastel POS click here. The Pastel Multi-Currency module allows you to define a currency for each user, supplier and bank account. It is fully Euro compliant and supports European Union processing. To download a brochure on Pastel Partner Multi-Currency click here. Pastel Receipting is a specialised add-on module that lets your enter data once in order to process and print receipts. You can do this without having to use your cashbook. Once you are ready, Pastel Receipting will automatically move the receipts into your cashbook for you. To download a brochure on Pastel Partner Receipting click here. The Pastel Business Intelligence Centre is available as an add-on module to Pastel Partner. With Pastel Partner Bill of Materials you can create bills of materials or receipts with an unlimited number of components. For example you can use three additional user defined costs such as labour, overheads and buy-outs. When you manufacture you can remove component items and create manufactured items. Copy one bill of materials to another. While the Kitting option allows you to link multiple inventory items to a kit, and when you invoice the kit, Pastel Partner automatically invoices the component items. This module will operate if you have purchased the Pastel Partner Inventory module. To download a brochure on Pastel Partner Bill of Materials click here. The Pastel Partner Time and Billing module allows you to bill your employee time to your customers. Simply fill out timesheets for your employees and charge your customers via activities. The activities that you create are the services you sell to your customers. To download a brochure on Pastel Partner Time & Billing, click here. Pastel Partner Serial Number Tracking allows you to track items from the moment you purchase or manufacture them to the time you sell them. You can even track the item for warranty purposes should it be returned to you for repairs. To download a brochure on Pastel Serial Number Tracking, click here. ACT! will not only revolutionise the way you manage your customers and sales, it will automate a variety of tasks you face every day. Traditionally termed ‘CRM’ or ‘Contact Management’, ACT! manages the interaction between your business and your customers, potential customers, suppliers, and even your fellow company members. Synchronising with Pastel Accounting, ACT! merges the functionality of finance, sales and marketing. South African Company Law requires that you keep a register of your business' fixed assets as part of it’s accounting records. However, managing your company’s fixed assets can be tedious and time-consuming. Fixed assets are physical items such as desks, computers, cars, machinery, etc which you acquire to run your business. As you use assets, they depreciate or become obsolete. You can legally expense depreciation in your accounts for tax purposes. Maintaining an accurate fixed assets register which records information such as: date of purchase; date of disposal; purchase price; accumulated depreciation; net book value etc. The Pastel Evolution Fixed Assets module automates all these processes for you. Once you provide the initial information, the system takes over and manages your assets for you. One of the realities of fixed assets processing is that companies frequently change depreciation rules as legislation allows and as company policy changes. Some changes are retroactive to when you purchased the asset. Pastel Evolution Fixed Assets calculates its values dynamically from the start of each asset’s life, which makes retroactive changes simple. For more information on the Pastel Evolution Fixed Assets, please click here. And we will courier your Pastel Software to your doorstep within 48 hours of receiving your deposit!